Kate and Chelsie: Mariage Frères, Parisian Tea. Kate and I began our love affair with Paris a few years ago, when we became intoxicated with the city and its culture. Paris is widely renowned for its exquisite food and drink, for which Mariage Frères must be included. 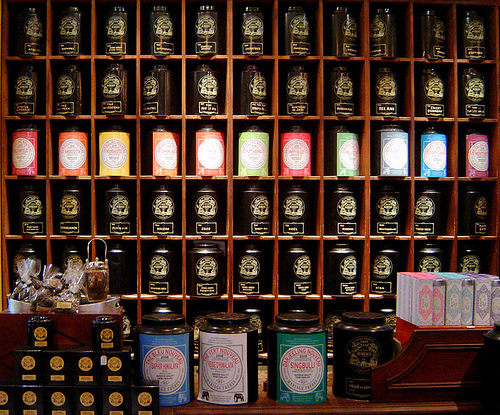 Mariage Frères is a gourmet tea company; that was established in 1854 and has subsequently become widely regarded as one of the best tea companies in the world. Mariage Frères has over 157 years of expertise to draw from when creating tea, and currently has 500 different tea varieties from which guests can select from. Every tea available from Mariage Frères yields its own unique, captivating taste and smell, ensuring a timeless experience for you with each and every sip. In the 17th century, the world as we know it today was being discovered. European traders began to explore the exotic lands of India and the Far East, and it was in this golden era that the Mariage Frères story begins with Nicolas and Pierre Marriage on voyages encouraged by King Louis XIV. The different experiences generated though these trips resulted in the Frenchmen becoming involved in the international tea trade and consequently establishing their very own tea shop in Paris. The intimate knowledge of the trade was passed down throughout the generations and in 1854 Henri and Edouard Mariage founded the present day Mariage Frères Tea Company. At this stage the Tea Company focused on importing premium quality leaf teas from the Orient, which would then be sold in the very best hotels and tea shops in France. In the present day tea company operates over 30 Mariage Frères points-of-sale within France, Germany and Japan. 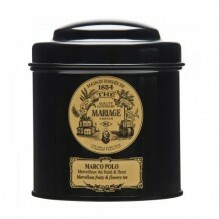 Mariage Freres is also distributed through a network of resellers in over 60 countries, and served in the following luxurious hotels Meurice in Paris, Claridge’s in London, Mandarin Oriental Hotel in Bangkok and Singapore alongside being offered to first-class passengers on Japan Airlines. Your experience begins the moment you reach the counter and become hypnotized by the 'tea wall' surrounding you. The wall is comprised of large and high layered tins, beautifully packaged and containing rare and beloved teas. In terms of tea selection you may purchase pre-packed tins or you may select your own tea on premise which will be weighed and presented in a signature sachet. Without doubt the real treasure about visiting the store is trying to discover your favourite tea; and trust us with so many different varieties there will be many close contenders. It will come as no suprise that both Kate and I are tea addicts! Recently we decided to indulge in our quest to discover Mariage Frères tea, we indulged in trying some of tea in their range: our selections were Black Orchid, Marco Polo and Madame Butterfly. Black Orchid: This is a smooth black tea, round and silky, dotted with notes of vanilla its aroma is powerful and fills the rooms with its sweetness. Marco Polo: The leaves have an enchanting and mysterious scent, and there are pretty red flecks mingling with the black tea. The aroma is fruity with a sweet and clean finish. Madam butterfly : This composition based on white tea, flowers and fruits is the interpretation of Mariage Frères of Puccini's opera, portrait of a young geisha desperately in love for a foreign officer who abandons the vain promise of return in the spring "with roses and robins". The taste is sensual with notes of exotic fruits! We really enjoyed 'Marco Polo'and highly recommend you try this tea ; the delicate sweet taste was unparalleled to anything we have tried before and we could not think of a better tea to sip on during the summer months. 'Marco Polo' will definitely be featuring at any social events we hold with friends and family throughout the summer! Absolutely loving your blog-- an infinite amount of information and so on. I reblogged the Black Orchid tea image on tumblr and will share your blog with everyone!